1. Your health gets better. Becoming a non-drinker reduces your chances of developing a plethora of alcohol-related illnesses, from various cancers to liver and heart disease. 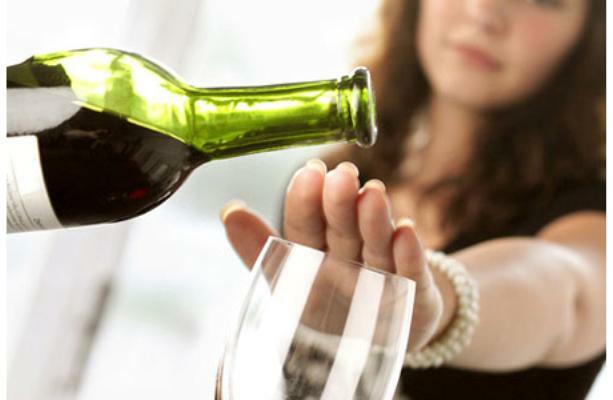 Alcohol is responsible for puffiness in the face, sunken eyes, premature aging of the skin, and a dull complexion. Becoming a non-drinker will result in healthier looking skin and brighter eyes. 3. It’s easier to maintain the weight you want. One bottle of wine has as many as 700 calories, more than a Big Mac! Plus, when you give up wine, you’re more likely to exercise if your weekends aren’t taken over by hangovers. 4. You have more time to get stuff done. If you regularly crack open a bottle of wine after dinner and have a few glasses during the course of the evening, you’ll be down approximately 30 hours every week on time to GET STUFF DONE! That’s time to blast the housework, or time to read, study or develop a hobby or skill. A boozy lifestyle equals non-productive evenings. 5. You have more patience. You be more patient and calm while decision taking or making. 6. You find out who you really are. Alcohol has such a powerful effect on the body and mind that it’s impossible to find out who you are when you’re regularly getting sloshed. It’s only with living alcohol-free that true self-discovery becomes a possibility. By learning to know yourself better, you have a fighting chance of finding out what you want from life, as well as all that you’re capable of achieving. 7. You feel good about your life. When you’re permanently sober, your choices are always your own; alcohol-free living means never waking up again crippled with regret and shame. And that is priceless.